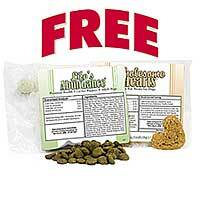 Have you thought of obtaining free dog food samples for your pet? There are several commercial brands of dog food available in the market. Arriving at the right one that is most suited for your dog is definitely a task. This process involves a lot of trial and error and finally you arrive at the right one for your dog. But, if you look around for a while, you should see that there are several ways to obtain free dog food, and that is not a painful process at all. It will cost you absolutely nothing. The first method is to check with your vet. Dog food manufacturers often provide samples of premium quality dog food to pet. This helps them to promote their products to a large extend. The particular brand could be something that your vet sells, or it might be something that has been newly introduced by the manufacturer and wants the dog owners to know about it. You may be able to collect it from their counters or sometimes may need to ask them to get a sample that you can take home with you. The next place where you can get free dog food samples is the local pet store. Pet stores sell most pet-related products and they also give away free samples as a method of promoting their products. Sometimes pet food manufacturers may get their representatives to set up a table at the local pet store, inside the store or in front of it. Most of these representatives will provide you with a free trial of each variety of dog food that they try to sell. These trial varieties include wholesome, natural, and commercial types. Yet another way to obtain free dog food samples is to visit the websites of major dog food manufacturers. These websites will often put up links to free samples and other offers to new products. This is one of their ways to promote their new products and they are always ready to send their free samples to dog lovers. You will need to provide information about your dog. In some cases, you may need to pay a small price also. Further, Pedigree offers a free sample on a monthly basis to dog owners who have adopted their dogs from a shelter. You can also look into the internet, using search engines like Google to arrive at free sample dog foods or offers. There are specific search engines like dogpile.com also, that can help you in this regard. For The Dog Lover is a website written by dog lovers for other dog lovers. 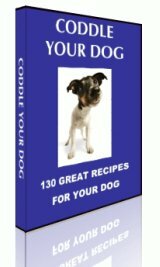 It contains dog training tips, cute pictures of dogs and puppies, as well as a dog food survey that was answered by hundreds of dog owners.